I don't think that's an original ceiling. The metal looks too shiny. 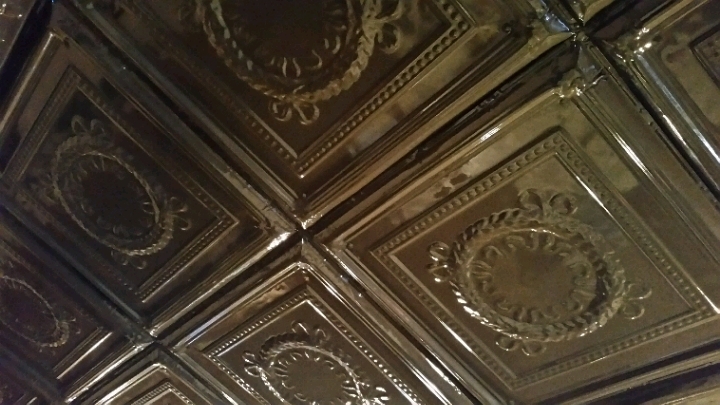 The old tiles were steel coated with tin, and they tended to be painted over. I suspect you are correct. There are buildings here in town with original ceilings, not shiny and much higher. they look like ceramic tiles they are beautiful. this is much nicer and preferable. it will look good for a long time.